We offer a complete selection of polo equipment, developed under rigorous quality standards that satisfy the strict exigencies of high handicapped polo players, like Marcos Di Paola. We hope you enjoy shopping in our virtual shop. If you don't see the product you're looking for, contact us, we probably have it. Please see our shopping conditions before sending your order. Reinforced fiber glass polo helmets, fabric or leather pad, optional colors. Reinforced polo boots. First quality leather and details. Effective and very comfortable leather kneepads. High impact security polo goggles, optional colors. Polo mallets made with selected canes from Malaysia and Singapure. Cigars in different colors. Nylon polo whips with leather grip. 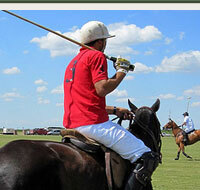 Polo saddles made of selected leathers, Different leathers and colors. Reinforced saddletree with four year guaranty. 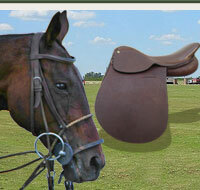 Leather bridles, nosebands, caveson, gag polo bridles, pelham polo bridles. Different colors and kits. Stainless steel Pelham bits and gags. Leather / buffalo stirrups reinforced with nylon and stainless steel clasps. Leather, fabric or woollen girths and overgirths. Long boot, short boot, tendon boot and bell boot protectors. 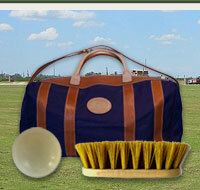 Polo mallet bags, polo saddle bags, polo boot bags, polo bridle bags, Different fabrics, colors and leather reinforcements. Plastic polo balls, wooden polo balls, polo saddle pads, horse blankets, aprons, bandages, muzzles, soaps, brushes, rubbers for pelhams, oils and more.